Greifensee, Switzerland. 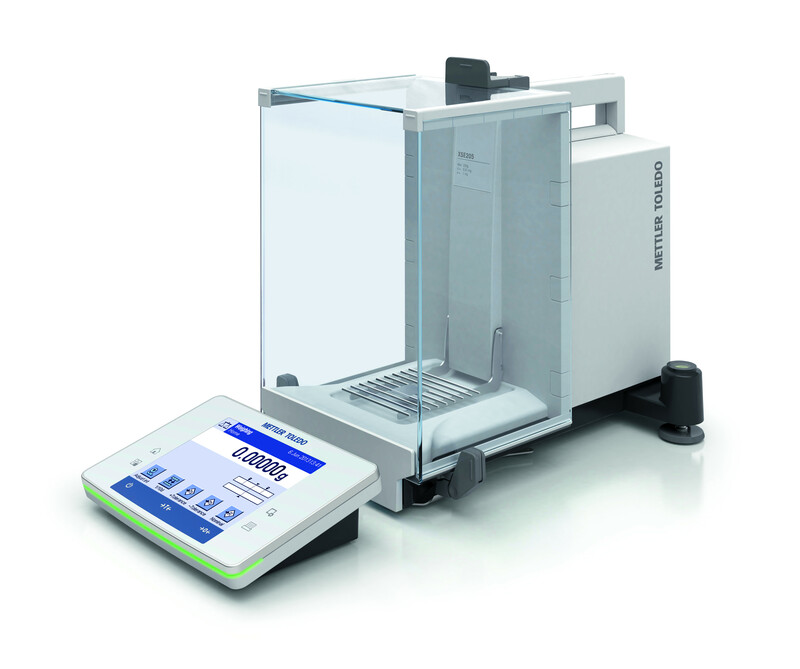 2 October, 2013 – METTLER TOLEDO has released a new line of Excellence Analytical Balances focused on providing users with a high level of process security whilst making weighing workflows error-free, ergonomic, and efficient. The new balances ensure worry-free weighing for users, with advanced intelligent features that secure reliable weighing results and also support quality assurance demands for error-free processes and full traceability. The green StatusLight™ indicator gives users full visibility that all balance tests are up to date and guarantees that it is safe to start weighing; thereby ensuring results are accurate and reliable.The innovative new StaticDetect™ sensor technology provides reassurance that weighing results are not influenced by electrostatic charge by automatically checking samples and containers as they are placed on the balance. Further technology advancements, such as radio-frequency identification (RFID) read-write capabilities, integrated routine test functionality, and the newly developed graphical leveling guide simplify daily tasks and help users to comply with relevant industry regulations. When balance calibration and routine tests are up to date and the balance is level and performing correctly, the StatusLight clearly indicates with a green light that it’s safe to start weighing. Warnings are shown in yellow, with errors in red. The user has the security of knowing that all acquired weighing results meet pre-defined process requirements and hence also the relevant regulations. Influences from electrostatic charge are one of the biggest challenges in analytical weighing. Through normal handling, samples and weighing containers can easily accumulate static, leading to difficulties in dosing and errors in weighing results. With high electrostatic influences, it may not even be possible to achieve a stable reading on the balance. When a container or sample is placed on the balance, StaticDetect measures the weighing error attributable to electrostatic charge and gives a warning if the process tolerance limit is exceeded. Antistatic measures can then be employed. The new compact point electrode accessory attaches to the side of the balance for convenient deionization of charged samples and containers. For the highest process security, users can elect to block the release of the weighing result. By fixing SmartSample™ RFID tags to titration beakers, sample information entered at the balance can be securely transferred to METTLER TOLEDO’s Titration Autosampler. RFID tagged pipettes can also be scanned at the balance via EasyScan™ to check calibration and test dates, guaranteeing that pipettes are valid for use. Test dates on the tag can be updated when the pipette check is carried out using the built-in balance application. The new RFID capabilities not only eliminate transcription error but also offer users a higher level of process security. The new balances are fully compatible with METTLER TOLEDO’s LabX laboratory software which guarantees process security and manages measurement uncertainty. Full traceability is assured thanks to flexible Standard Operating Procedure (SOP) user guidance on the balance touchscreen, automatic calculations and comprehensive data handling. LabX fulfills the highest process security requirements and, with all data stored securely in a central database, fully supports the move towards establishing a paperless lab.